It is always a thrill to find a new book by a debut author that makes you anxious for more. Little Black Lies, the new psychological suspense novel by Sandra Block is certainly one of those. No doubt, part of the success of the work stems from Block’s knowledge of the subject matter, but the plot-line is also more tightly written than one usually finds in first novels. Little Black Lies is the story of Zoe Goldman, a psychiatry resident who has enough issues of her own to fill the DSM-5. That’s a bit of an exaggeration, but the fact that Zoe herself is damaged is significant to her role as narrator. Readers will continue to wonder at her stability and reliability, even as they begin to get more and more invested in her well-being. Through the course of the novel, Zoe must deal with several patients who have an interesting variety of mental disorders. These details about the life of a medical resident add authenticity to the proceedings. One patient in particular sparks Zoe’s interest and it is during her work with this patient that Zoe begins to long for definitive answers about her own past. With the help of her own therapist, Zoe embarks on a course of treatment – everything from medication to hypnosis – in an effort to remember what exactly happened on the night her birth mother died in a house fire. Even the stories told to her by her adoptive mother begin to crumble the further she investigates. Unfortunately for Zoe, her adoptive mother is struggling with dementia, so any needed clarification is going to have to come from the locked corners of Zoe’s own mind – at whatever cost. The novel takes place between November and February in Buffalo, New York. The cold, wintery setting perfectly reflects the closed nature of Zoe’s mind. The isolation that mental patients feel contributes to their struggles and this is no different for Zoe Goldman. Sandra Block writes the novel in short chapters and unassuming prose, which make reading the book at an accelerated speed very easy and desirable. 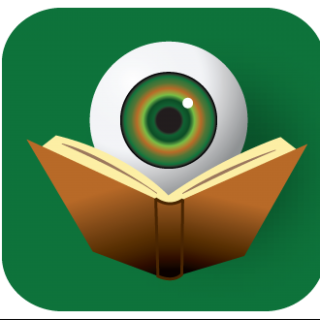 This fast reading allows Block to easily hide some crucial details from the readers, such that by the time the final revelation is unearthed, the reader may experience genuine surprise. 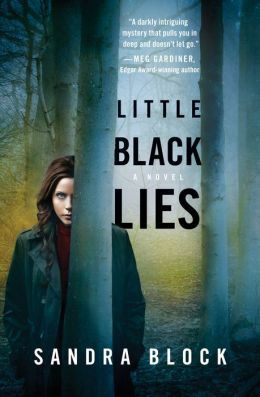 With the strength of Little Black Lies, Sandra Block has assured that readers will be eagerly awaiting her next tale of psychological suspense. Zoe Goldman will be back, so there is no doubt it will be another fascinating case in which the secrets of the mind are excavated. Disclaimer: An print galley of this title was provided to BOLO Books by the author. No review was promised and the above is an unbiased review of the novel.